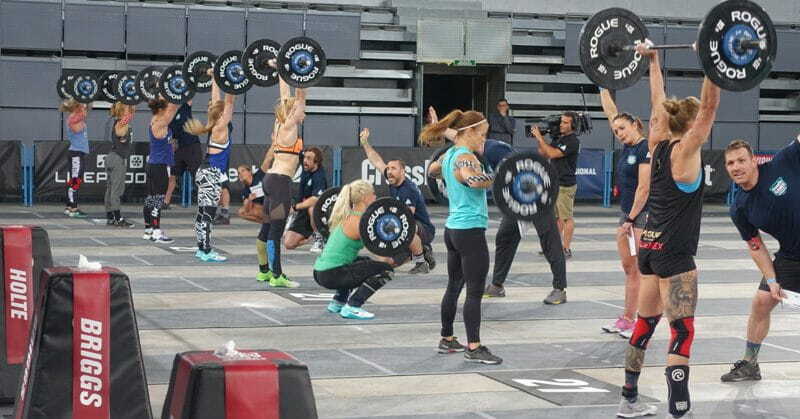 The Meridian Regional has finished and 10 athletes and 5 teams now progress to the CrossFit Games. Find out who they are, and check out the best moments from the final day! Event 6 was a gruelling combination of Overhead Squats, Handstand Walks, Burpees, Assault Bike and Rowing. Right from the outset, Annie Thorisdottir set off at a blistering pace, and you could see that she wanted this one badly. Holte took the Handstand Walks and the first set of Overhead Squats at a steady pace, but picked up speed going into the row. She then passed Annie on the Burpees and hit the Overhead Squats first, a matter of seconds separating her from the iconoclastic Icelander. Working methodically, she progressed through the Overhead Squats to claim the win. The reigning Queen of the CrossFit Games crushed the record by 16 seconds by finishing in 9:50. 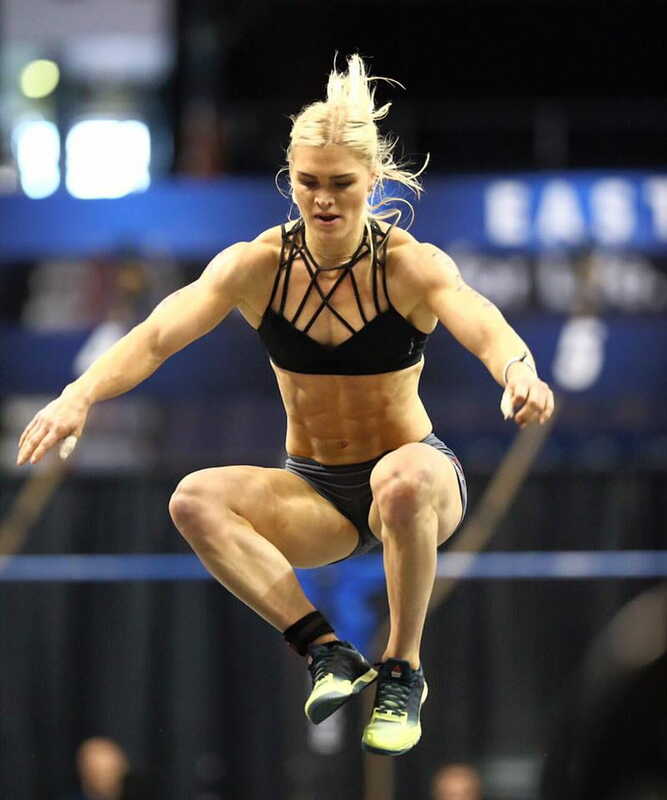 She made a great deal of ground on the Handstand Walk, taking a 15 second lead, and continued to push throughout the entire event before bringing her performance home in style and making the final 5 Overhead Squats even look easy. Mahmood Shalan and Mikko Aronpaa battled it out all the way through Event 6, constantly looking over at each other and pushing each other to go harder and faster. It came right down to the last set of heavy Overhead Squats, where they scrabbled over bouncing barbells to claw themselves over the finish line. Shalan was convinced he had won, punching the air in triumph, but in the end the win was given to Aronpaa, by 0:00:03 of a second! 4. MUNDWILER VS HOGBERG COMPETITION RESULTS IN NEW EVENT RECORD! Another epic battle, both of these Athletes were fighting for spots at the Games. Mundwiler was chasing Hogberg but once they both hit the Burpees, Mundwiler kicked it up a gear and maintained an incredibly fast and intense speed right through to the Overhead Squats at the end. Mundwiler finished the event in under 10 minutes! On closer inspection, it was clear that his power had come from a souvenir headband that he was wearing. It was one of Sam Briggs’ from 2013, when she won the Games. The two had been training together, and so were closely supporting each other. In the same round, Stefano Migliorini had the whole crowd on their feet as they chanted in unison to count down his final few reps. The atmosphere was electric. 5. THE RACE FOR THE EVENT SIX RECORD! Thuridur was absolutely speeding through this intensive and short event, and hit her legless rope climbs (a personal strength of hers) with precision, accuracy and perfected technique. She had already carved out a sizeable lead for herself as she strutted with purpose towards the final climb. The judge no-repped her, which allowed the other Athletes to catch up and overtake her. Thuridur still ultimately qualified for the Games, but a first place finish would have significantly bumped up her score. As these athletes passed Thuridur re-doing her rope climb, they went into the final sprint neck and neck. The atmosphere was crazy, and the former Games Champion from the UK, Sam Briggs, just clinched it at the end. Lukas has displayed consistently strong performances throughout the Regionals. Six top ten finishes placed him deservedly in second position behind BK Gudmundsson. He is a testament to the importance of consistency within Crossfit, and shows that as an athlete, he is talented across the board, and lays down solid performances whether the event calls for gymnastic ability, strength or a solid engine. The tall Russian beast went out all guns blazing for the final event and made short work of the rope climbs. Jumping high he was able to reach the top with only a few swings of his arms, and dropped back to the floor for the final sprint, to the huge applause of his fans in the stands. Even the Icelandic fans got behind him, shouting GA-NIN, GA-NIN, as the lumbering Russian stomped over the finish line. Stefano Migliorini managed to beat his time in the final heat in a time of 2:54! 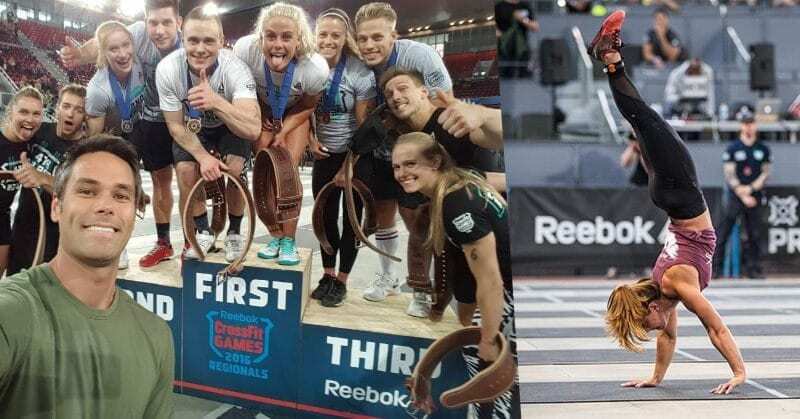 3rd place last year at the CrossFit Games, the Icelandic athlete took 1st place in both of the first two events. He took two more 2nd place finishes, a 3rd and a 4th and established his dominance throughout the weekend. He finished with a lead of almost 100 points. 11. THE SWISS ARE HERE! Lukas Esslinger and Adrian Mundwiler are the first two men ever from Switzerland to make it to the CrossFit Games! He came into the event as second to last seed, but put in a series of amazing performances which saw him sitting in second place on Saturday night. He unfortunately had to withdraw because of a pre-existing back problem, but was poised to become the first Italian Man ever to qualify for the CrossFit Games.